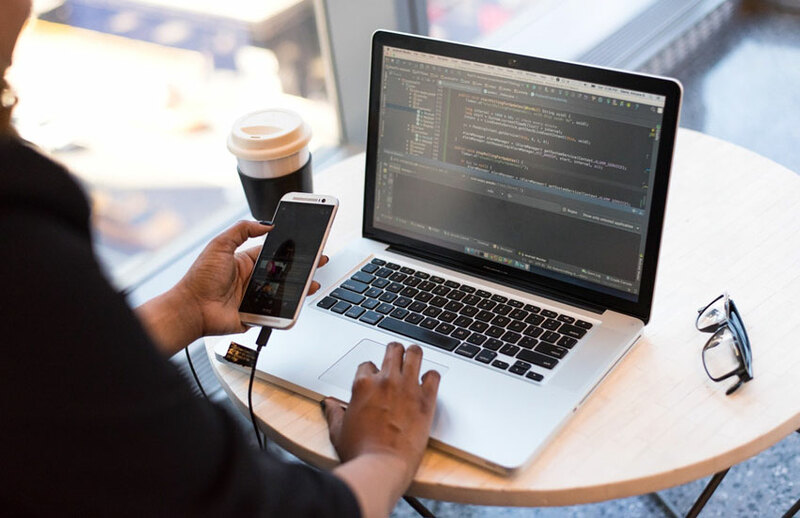 Let’s look at how user research impact mobile application development and what measures product owners and mobile app development companies can take into account to make the application successful. A technology product that is not relevant to its user will never be a success. Time and again, it has been proved that if the product is not specific to the user requirement, it is destined to fail, even if it is backed by tech-giants. Here are examples of some mobile applications that failed. The reasons may differ, but you will find that all the failures are accounted to inaccuracy in the understanding of users’ preferences. Till the people downloaded this app, they didn’t know what to do with it and how it is different from iTunes. Result? A report says that post-downloading, 48% of users never actually used the iTunes app. Besides, users experienced many glitches in the iOS application’s playlists and downloads that they finally decided to stop using it. In early 2013, the Hailo mobile app got an investment of $100 million. By October 2014, they went broke. The failure was a classic example of a lack of user research. The mobile app was created to provide good prices for a yellow taxi. But it missed considering one crucial factor-most of the yellow cab drivers didn’t carry mobile devices. Although, the same business model worked in London, but not in NYC. For all the software product owners, Hailo provides a great lesson to learn from the failures. There is also a lesson for every mobile app development company as well that they should always encourage business owners, specifically small business owners to refrain from making assumptions and make decisions based on facts. If you don’t know who your users will be and what they are capable to do to your platform, your software product may share the same fate as Yik Yak. This popular mobile app raised $75 million in 2013 and by 2014, its market value was approximately $400 million. Can you even imagine within 2 years its download dropped dramatically by 75% and the next year, 2017, it had to close its operations? The Yik Yak mobile app was for young school and college students. At the initial stage, it gained huge popularity, but since the mobile app owners have not mapped the school and college environment precisely, they failed to curb the threats of abuse and cyberbullying that most of the users were subjected to on Yik Yak. When threats came in, they first restricted the number of users, but the move resulted in a sharp decline in the number of downloads, which was ultimately irreversible. Lesson Learnt: In mobile app development, user research is fundamental to a successful software product. At the beginning stage of ideating a product, product owners must create a vision of the software product. This vision needs to be based on user research that answers key questions about users and how they tend to react to certain features and functions of mobile applications. Doing user research is the only way product owners can create empathy with mobile users. This research can help your mobile application development company to create designs that people are going to love and use. Designing with empathy helps to understand the real, unexpressed and unmet needs of the customers. How people relate to each other in real-world set the stage for communication. For example, Yik Yak quickly became popular among the young generation, but the product owners failed to identify the challenges of how school and college students. Giving them a platform for communication without establishing rules of communication and setting expectation turned disastrous for the Yik Yak team. Through stringent user research from multiple perspectives is necessary. It would enable mobile app owners to calculate short and long-term social and financial impacts. Business owners must make sure that the mobile app development company they are associated with has good designers, who understand designing with empathy. No matter how experienced your mobile app development company is, it would be difficult for them to create a product that users will love to use until they have a clear idea of what are their preferences. Being the mobile application owner, you have to guide them through your users’ preferences. And to do that you should be aware of the qualities and behaviour of your users. “If the user is having a problem, it’s our problem”—Steve Jobs, Co-founder of Apple computers. What is their work environment? For instance, maybe your mobile app users are highly educated, but their work environment is such that they cannot use your app properly, then no matter how good the features and functions are, your application is doomed. Your mobile application must have a high usability factor and an experienced mobile app development company can help you out with this if they know your users well. You may be an expert of your product, the app designers and developers may have a tremendous knowledge of the latest technologies, but they are not going to use the product. Both product owners and mobile app development companies must have tendencies to see things from the Point of View of the users. You have to be realistic here. Users get exhausted if they didn’t find something unique and entertaining with time, the market keeps on changing with new users’ demand, and technology innovation is imperative to change. To handle this, mobile app designers have to remain fluid with the design, until the final launch of the product. Ask your custom mobile application development company to keep testing the prototypes until the very end of the mobile app development process. Your mobile app and all the features and function you want to have in it must lead to generating greater ROI. User research will help you determine those features and functions that let you achieve the same. Often it has been seen that executives and stakeholders do not give utmost importance to research, because they don’t find any tangible benefit out of it, such as features and bugs. They majorly focus on the works of mobile app developers and UX designers. Remember that no matter how advanced your product is, if it does not relate to users, they will not want to use it. Also, user research and UX designers seem a burden for the product owners and it here they want to do major cost-cutting. The problem is you can find a bug during testing of your application, but you won’t be able to find the flaw in design until the application reaches in the hands of your users. “Proactively delighting customers earns trust, which earns more business from those customers, even in new business arenas.”—Jeff Bezos, Amazon Founder and CEO. Before you reach to a custom mobile app development company to develop your mobile app, make sure you have enough user research material that well brief them about your users’ preferences. The user research must reflect the users’ perspective at large and not only for a group of audience. Besides, demography plays a major role in setting the preferences and the research should be based on different social and environmental impacts. Siya Carla is the Solution Consultant at Finoit Technologies, a leading custom software development company which provides unique web design and mobile app development services. By creating interactive mobile apps for 450+ customers across the globe, Finoit enjoys a great reputation as a prominent mobile app development company.